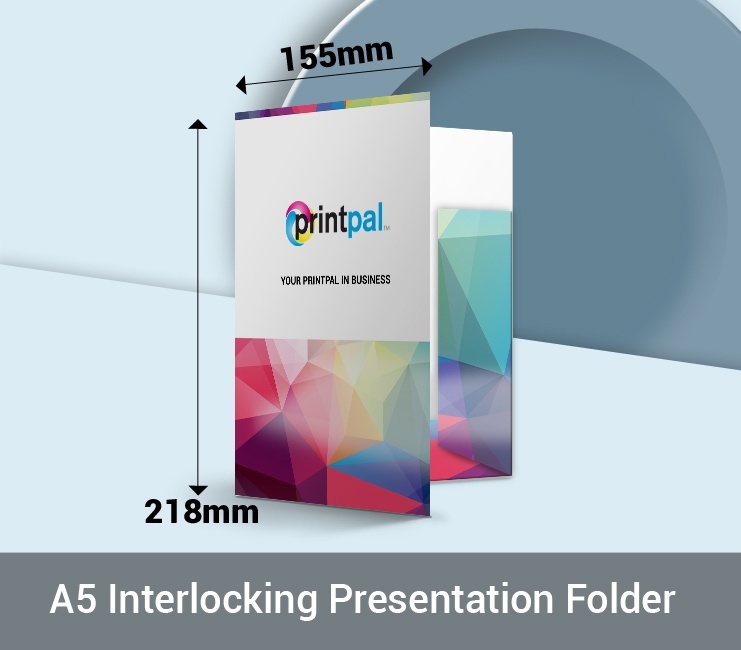 A5 Presentation folders can be supplied assembled or as flat pack sheets ready for assembly, this option is great if you will be using the presentation folders over a period or months / years. 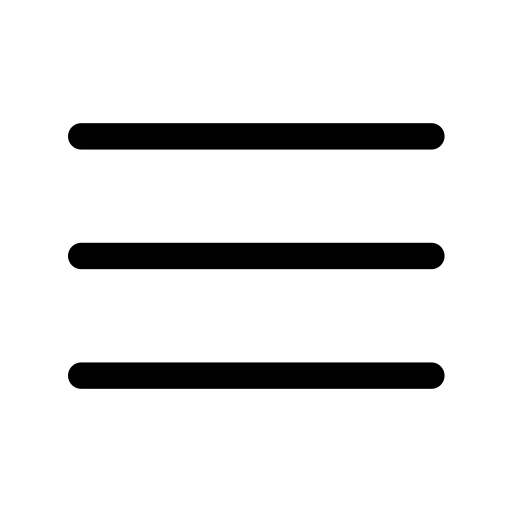 (Recommended) This option will ensure your A5 Presentation folders are glued and assembled to a high standard, and more importantly ready for you to use immediately without any assembly. 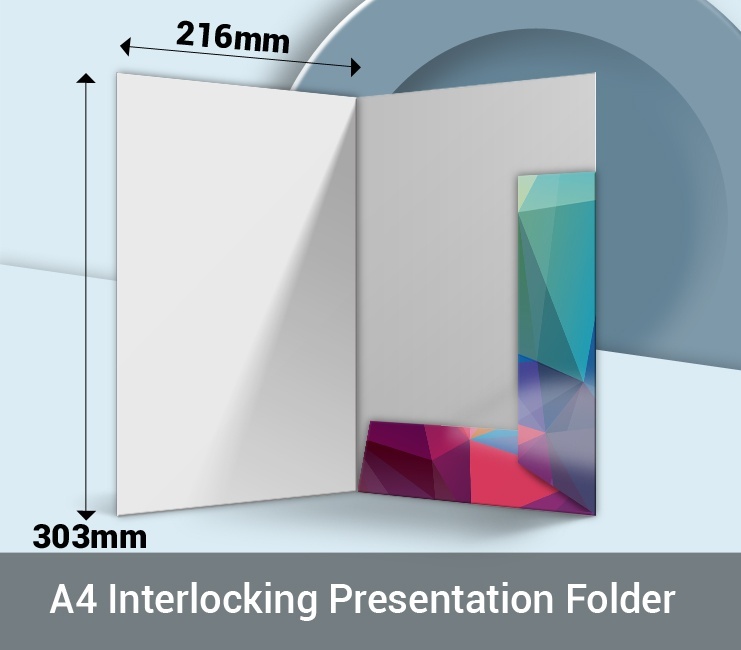 A4 Presentation folders can be supplied assembled or as flat pack sheets ready for assembly, this option is great if you will be using the presentation folders over a period or months / years. 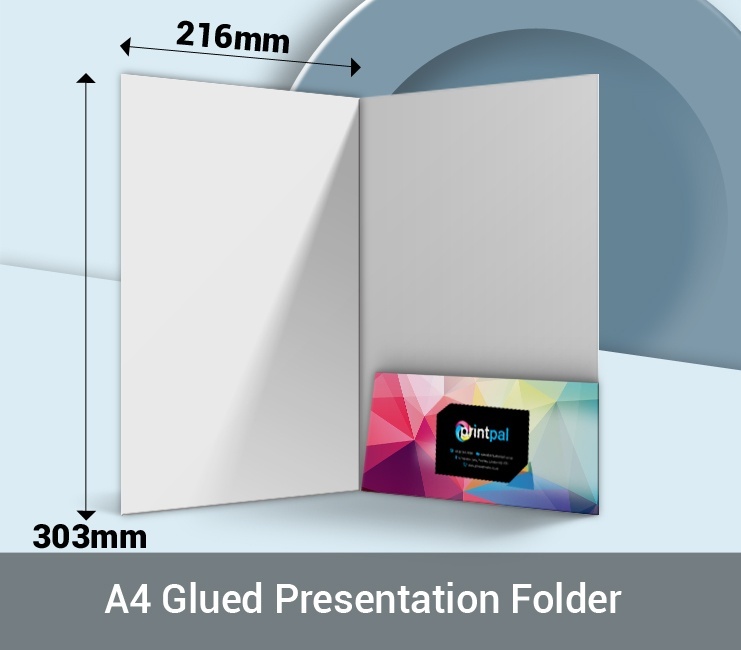 (Recommended) This option will ensure your A4 Presentation folders are glued and assembled to a high standard, and more importantly ready for you to use immediately without any assembly. Want to leave your clients feeling impressed? 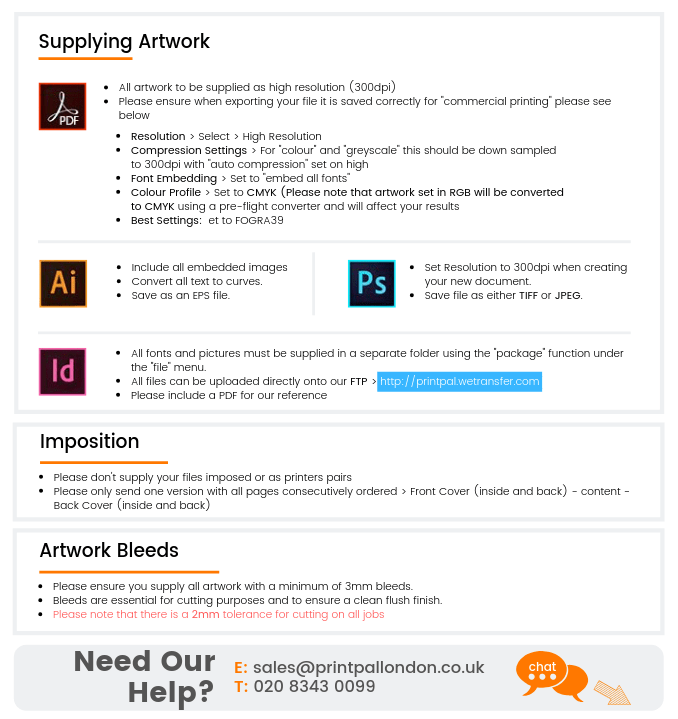 We are fast becoming known for our high-quality presentation folder printing in London. When you have an expo, event or a sales meeting a bespoke, good quality printed presentation folder says allot about you and your company and can be one of the tools that help convert a potential to a sale. When deciding on the finish of your folder we always recommend adding a gloss, matt or velvet lamination to your presentation folder for that extra wow factor and protection of the print. 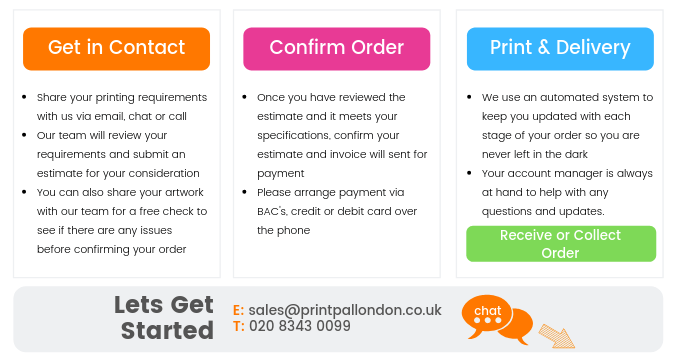 Please check the product specification and finishes Printpal offers and do get in touch with our London sales office for more information, advice, and templates for our cutters.